EPLI claims and discrimination suits can result in costly litigation, low employee morale, stress and even reputational problems. It is in employers’ best interest to mitigate the possibility of employee discrimination claims with a strong risk management strategy. Here are some tips employers can do to achieve compliance and help avoid costly litigation. Hiring policy. Establish a clear hiring policy to insure candidates with disabilities will be treated fairly. Stress to interviewers and interviewees that the employer respects all individuals and that reasonable accommodation should be made. Interview questions. 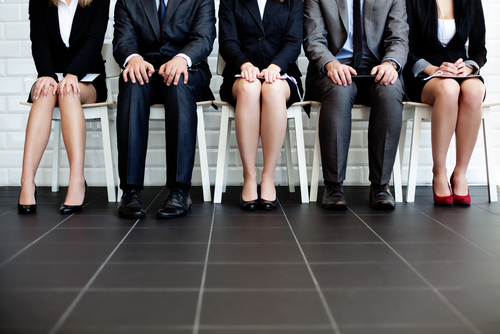 Stay within legal boundaries when asking job applicants questions. A company’s liability begins with the first interview. Questions about age, family, marital status, criminal record, gender or race are unlawful and inappropriate for the interview setting. Even if you are just making conversation, be careful to toe the line. Make sure all employees who interview candidates are well versed on the types of questions to ask in an interview. Address accommodations. The list of reasonable accommodations employers make for employees is long. Mitigating measures to have in place could include making the workplace accessible to wheel chair users, providing a reader if someone is blind or an interpreter if they are hearing impaired. Request for leave. Consider each request on a case by case basis. Avoid leave-of-absence policies that state a specific duration of leave, after which the employee will be terminated. Use temps. If an employee is forced to take a long term leave of absence, consider using temporary workers to fill their spot. It will reduce the possibility of having two people for one position and igniting a wrongful-termination lawsuit. Of course, these tips won’t help your clients without including employment practices liability insurance as part of a well-rounded risk management plan. PLRisk Advisors offers clients in all classes of business a competitive EPLI product designed to cover legal fees, settlements and damage awards that result from EPLI claims. Contact us today for more information on our programs.